A sensational win over the Hurricanes in the semi-final has now set the scene for the Investec Super Rugby Final against the Lions on Saturday night at AMI Stadium. It's a dream final for the BNZ Crusders who will play the form South African team - a team they defeated at Ellis Park in 2017. However this time it's the Lions time to travel to our fortress of AMI Stadium! We need every BNZ Crusaders fan at AMI Stadium this Saturday night to support our boys so make sure you pull on your Crusaders jersey, slap on your face paint and get your tickets today! The vendor village will be in place for this match along with our concourse activations at all gates. BNZ Crusaders flags will be free on entry, and our pre-game and halftime show is always next level.... you won't be able to stay in your seat! When purchasing your tickets, keep in mind that you can add a car park for $7.50 or you can catch the Super Rugby Express from Northwood departing at 6pm. 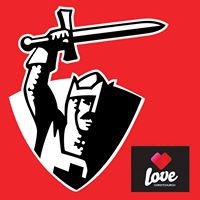 For more information visit crusaders.co.nz. We will for the jersey. We will for each other. We will for the fans. Whatever it takes... FOR YOU - WE WILL!